Home » General Health » Is Canada a Healthy Country? I Think Not! Is Canada a Healthy Country? I Think Not! I was born in this great country and I can vividly remember growing up here and hearing that Canada was one of the healthiest countries to live in. The standard of living was excellent, we had unlimited resources for recreation, our mortality rates were among the lowest, crime and poverty were quite low, our health care system was excellent, and the quality of life was among the highest in the world. I used to think that but unfortunately my mind has been changed by the devastating wave of chronic disease which has swept over this great land. A new research study recently published in the Canadian Medical Journal have indicated that the rate of obesity in Canada have tripled from 1985-2011! Not only is this news shocking, it is completely unnecessary. 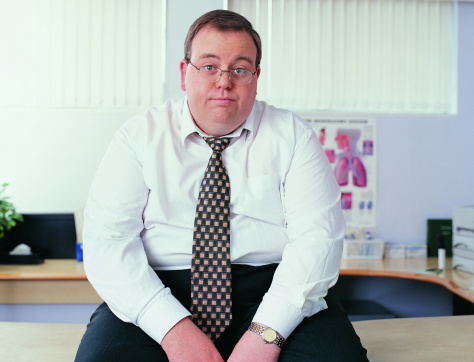 In my opinion, although obesity is considered a disease, it is completely preventable. Researchers analyzed data from various provincial and national health surveys and the projected statistical models are not very flattering. The projected incidence of obesity is expected to reach 21% of the Canadian population by 2019! Incidentally, this new data does not account for the number of people who are overweight but only people who have a body mass index (BMI) of 30 or greater. People are classified as overweight if they have a BMI that is 25-29.9. The researchers also discovered that the information regarding the height and weight of each person was frequently under-reported. This would imply that the problem is even worse than the research data indicates. What is most alarming regarding this study is the degree to which Canadians are becoming obese. The study results indicated that the greatest increase in obesity incidence was seen in class two (a BMI of 35-39.9)and class three (a BMI of 40 or over) obesity patients. Although some provinces had higher average obesity rates than others, the rate of obesity in the entire nation increased 200% from 1985-2011! Correspondingly, the researchers found that there was a 350% increase in the rates of class two and three obesity across Canada. “These results raise concern at a policy level, because people in these obesity classes are at a much higher risk of developing complex care needs,” said the study’s author. This is definitely an understated fact but an important one to consider nevertheless. What concerns me is what this report does not tell us! It does not assess the health risks of this population nor did it attempt to predict the health status or associated risks in the overweight population. This population has been previously shown to represent a much higher percentage of the population. Certainly, there is a preponderance of evidence which indicates that being overweight or obese greatly increases the risk of many different forms of chronic disease. Of course, there are issues relevant to the associated medical costs, lost productivity, economic impact, and premature mortality. The estimated annual costs are between four and seven billion dollars! Yes, of course Canadians need better policy, programs, awareness, and prevention strategies. Our friends in the U.S. face similar challenges, struggles, and have similar needs. However, in my opinion, what is really needed is a higher degree of leadership and individual personal responsibility if we are going to stem the tide of this great wave of disease that is sweeping through our great nations! “Canada’s Obesity Rates Triple in Less Than 30 Years,” CBC web site; http://www.cbc.ca/news/health/canada-s-obesity-rates-triple-in-less-than-30-years-1.2558365; last accessed March 4, 2014.